I come from a long line of Irish ancestors. 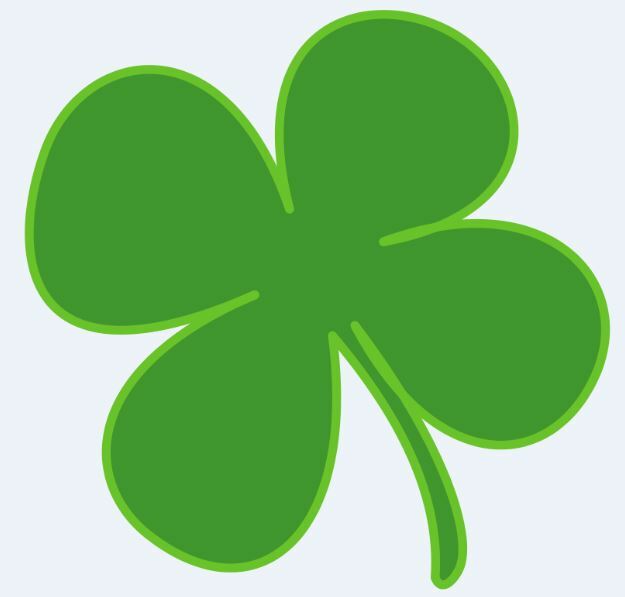 There is common Irish saying that goes like this: ‘A Pound of Pluck is Worth a Ton of Luck’. Pluck means courage, bravery, and determination. 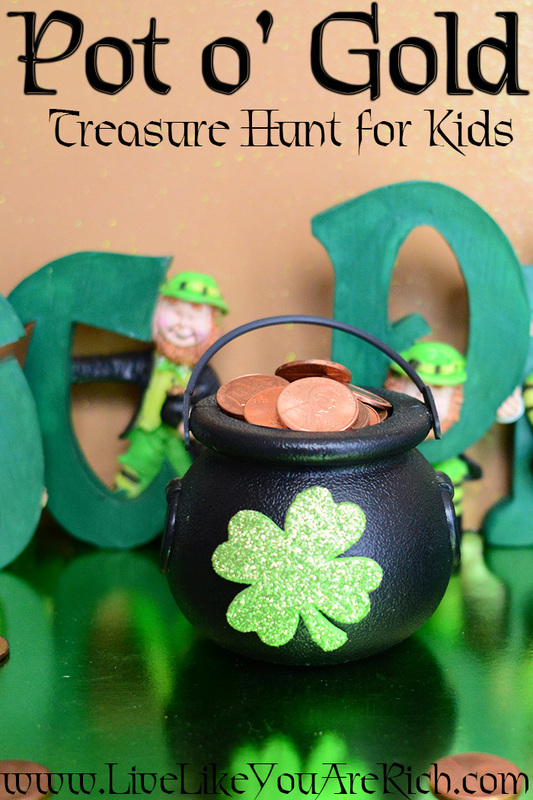 I was thinking of a fun activity to do for kids based on this saying and came up with this ‘Pot o’ Gold Treasure Hunt for Kids’. 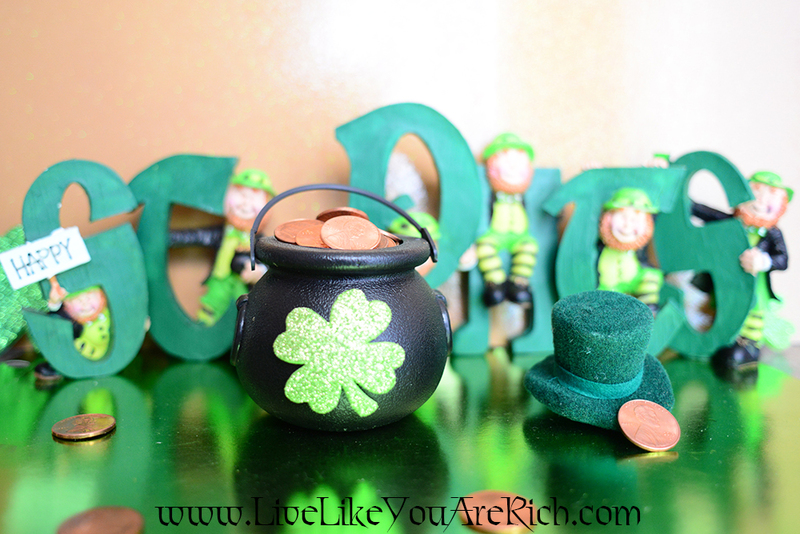 What you could do is fill a little pot (found here) or at craft stores with pennies or candy. Print out or draw or buy four-leaf clovers. Next, write on each clover a task that your kid(s) will need to do in order to move to the next clover. They will have to show determination (pluck) in completing their tasks in order to reach their Pot o’ Gold (or ton of Luck). Find 5 colored things (colors of the rainbow) and put them in their correct spot. 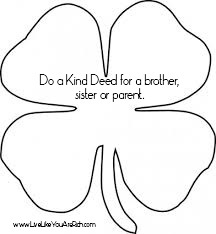 Do a kind deed for a brother or sister or parent. Take care of a pet (if applicable). Read a page from a book. Depending on their age they could help dust, or vacuum, fold laundry etc. Write to their grandparents a card/letter. Once they are done with their tasks you could have them follow four-leaf clovers or pennies to their Pot o’ Gold. This would also be a perfect time to remind your children that they need to save a portion of their money in their savings box/piggy bank. 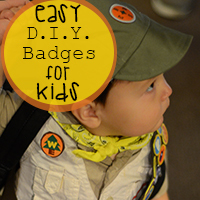 I am so excited to do this with my boys! I love your name by the way. It’s so pretty! Thanks for the kind comment I hope they enjoy it! Awesome idea. I never know what to do on St. Patrick’s Day, and I’m severely lacking in any traditions for this holiday. I’m loving this idea because my husband is very Irish! I will for sure be implementing this! Love the idea of service and small chores…I have 5 kids but I think I will do this with my 3yo while all the others are at school…She’ll love it! PS where did you find that darling leprechaun “Happy St. Pats” decor??? Valerie- Thanks for the kind comment. My grandma gave me the decor 🙂 she shops at thrift stores and garage sales a lot so I imagine that is where she found it. Thanks!